The Norwegian Constitution, which was adopted on 17 May 1814, is the second oldest written Constitution still in force. According to Article 2 of the Constitution, the Kingdom of Norway is a state based on the rule of law and human rights. Under Article 93, every human being has the right to life and no one may be subjected to torture or other inhuman or degrading treatment or punishment. It is further provided that "The authorities of the State shall protect the right to life and oppose torture, ... and other forms of inhuman or degrading treatment." The Constitution does not refer to the police or other law enforcement agencies. Use of force by the Norwegian police is generally constrained by the principles of necessity and proportionality. The Norwegian police force is generally unarmed with only those officers belong to specialised divisions permitted to carry firearms. The use of firearms is regulated in the Norwegian Police Force’s "Weapons Instruction" (Våpeninstruks). Under Section 4-3 of this Instruction, firearms may only be used when absolutely necessary to prevent loss of human life or serious injury and lesser means of force have either been tried or would be fruitless. Firearms may also be used when deemed necessary to arrest a person either convicted, or suspected to a high degree of certainty, of killing or engaging in other serious acts of violence or against persons who are considered to be particularly dangerous to human life or health, Norway's sovereignty, or its fundamental national interests. 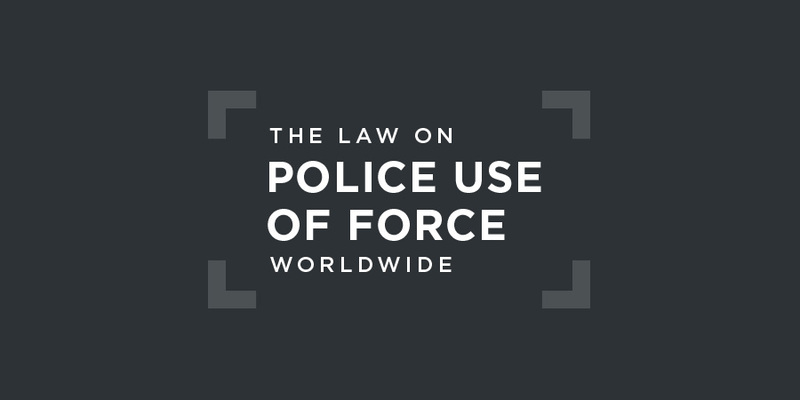 The use of force in custodial settings is regulated in the Police Act (Politiloven). Force may be used to the extent it is necessary and appropriate in the circumstances. The Norwegian Bureau for the Investigation of Police Affairs is a national investigation and prosecution agency. The purpose of the Bureau is to investigate cases where police officers are suspected of committing criminal offences in the course of their duties. Recent Concluding Observations by UN treaty bodies have not addressed unlawful use of force by the Norwegian Police Service. There have been no cases before the European Court of Human Rights involving alleged unlawful use of force by the Norwegian Police Service.